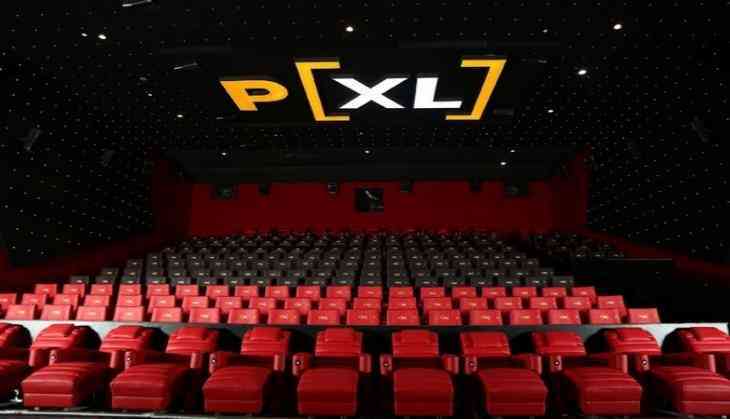 Keeping the legacy of innovation moving, largest film exhibitor in the country PVR Cinemas introduced their first P[XL] screen, PVR's homegrown big movie screen format known as Premium Extra Large in PVR Market City, Kurla, Mumbai. The cinema chain also simultaneously opened its first P[XL] screen in Orion Mall, Bangalore as well. With understanding of both the markets and each aspect of cinema viewing, the P[XL] auditoriums feature extra-large wall - to - wall screen, state of the art Dolby Atmos moving sound technology and Dual 4K projection system with customized 3D glasses to bring alive every little detail of the movie. The screens also possess an upgraded technology of RGB laser projection system which is being introduced in India for the first time. The projectors offer superior image quality with a remarkable brightness level, increased contrast ratio, and vivid colors for a radically improved (3D) movie experience. Every element in a P[XL] theatre is designed to create an impact with immersive 3D experience, crystal clear sound, and unparalleled brightness and picture quality. "We are happy to be back with our first P[XL] screen in Bengaluru and Mumbai markets respectively," said chairman and managing director PVR, Ajay Bijli. "It is the dynamism of these markets and evolving demand from the patrons that keeps us assertive for bringing innovations and global standard of cinematic experience to the cities. Both markets have an inherent taste to watch movies in a refined format. Hence, P[XL] screen will certainly provide the best of movie watching experience for the audiences here," added Bijli. Another notable feature about the P[XL] auditorium is the four different types of seating available in the audi. It comprises of recliners, loungers, sofa seats, and mainstream seating with extra leg room, delivering a truly comfortable movie experience. "P[XL] reiterates our promise of keeping the innovation alive in our offerings to the cinemas. With the successful launch of P[XL] screens in Kolkata, we have now expanded our horizon and introduced this unparalleled screen format to our patrons in Mumbai and Bengaluru respectively," said CEO PVR Ltd., Gautam Dutta. "We always strive to provide the best to our consumers and P[XL] is a result of our strong R&D over the years and mapping different logistics. We are certain that the patrons here in these cities will enjoy this new format and recognize our efforts," added Dutta. With these launches PVR has a total of three P[XL] properties in India.